PentalQuartz® combines the timeless beauty of natural stone with superior strength and durability. Engineered for easy care, this surface requires little maintenance, and is highly resistant to heat, stains, and scratches, all while providing infinite design possibilities. PentalQuartz is ideal for nearly any interior application; from kitchen countertops and bathroom vanities, to bar tops and tub surrounds. PentalQuartz is made from 90-93% natural quartz and 7-10% high quality polyester resins and pigments. Slabs are available in 1.2cm, 2cm and 3cm thicknesses. Select colors are also available in half and jumbo slabs. PentalQuartz combines the timeless beauty of natural stone with superior strength and durability. 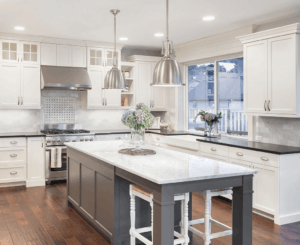 Their premium quartz slabs are manufactured using the most advanced technology from Breton SpA and our extensive on-trend color palette provides infinite design possibilities. 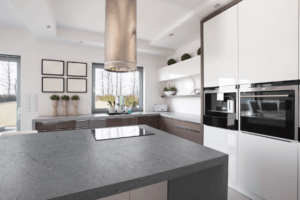 Contact us if you would like to learn more about Pental Quartz and their products.